Registration for Spring 2014 has started at the Pratt Institute, and I am offering two Sustainability courses. Each of these courses may count as a Social Science or Philosophy elective, each may count to satisfy credits in the Sustainability Studies minor, and there are no prerequisites for either of them. All Pratt undergraduates are eligible and encouraged to enroll. In addition to that seminar, I am leading a team of Pratt Institute faculty teaching the fourth offering of SUST 201P The Sustainable Core. This course is designed as our introduction to sustainability, is the required core course for Pratt’s Sustainability Studies minor, and is an excellent way to get familiar with the many ways sustainability is practiced at Pratt. Both of these courses may count as a Social Science or Philosophy elective, and there are no prerequisites for any of them. If you are a Pratt student and have any questions for me about these courses (or about the Sustainability Studies minor), please feel free to contact me at czimring@pratt.edu. This entry was posted in consumption, recycling, students, teaching, waste on October 29, 2013 by Carl Zimring. A great-looking trash event is coming to NYC next month. 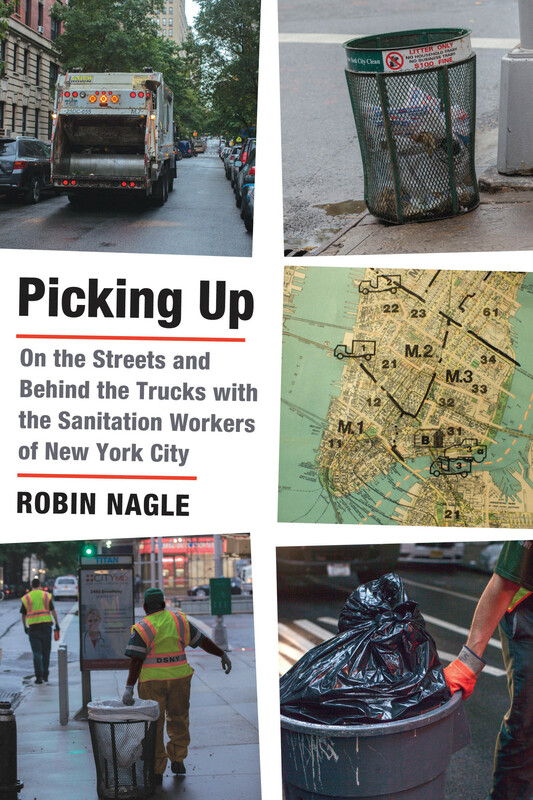 On Thursday, November 14th, please join the CUNY Center for Urban Environmental Reform for Tales from Our Trash: Sanitation Workers, Sustainable Cities, and the Value of Knowledge, an event about waste handling in New York City. Held in honor of Frank Justich, a NYC Sanitation worker killed on the job in Astoria in 2010, the event will feature a discussion with Professor Robin Nagle (author of Picking Up, and the anthropologist-in-residence with the NYC Department of Sanitation), as well as presentations by the NYC Commissioner of Sanitation, John Dougherty, and conceptual artist, Mierle Laderman Ulekes (artist-in-residence with the NYC Department of Sanitation), and youth activists representing future generations. The event is the first in CUER’s planned series focusing on trash as a lens for considering issues of sustainability. The focus of the evening’s conversation will be on trash as an issue of inter-generational equity, and the need to recognize sanitation workers as the front line of urban sustainability. The event, held at 6pm at the CUNY Law School, is free, but registration is required. Click here to register. This entry was posted in events, waste on October 25, 2013 by Carl Zimring. “I will enforce the City’s solid waste recycling ordinance. Two months into his term, Mayor Emanuel unveiled the first step in attempting to provide all Chicago residents with access to curbside recycling, announcing an expansion of blue carts to 20,000 additional households by November of 2011, with further expansion to come. To offset costs, collection from the blue carts would come from dividing the city up into six collection areas, with the massive private vendor Waste Management (previously the city’s partner in the failed blue bag program) collecting from three areas, Midwest Metal Management (a division of Sims) collecting from two areas, and the city’s Department of Streets and Sanitation collecting from one area. The idea was that the three entities were participating in a “managed competition” program, and the goal of the program was to reduce the high costs of recycling. The competition would take place for six months (starting in November 2011), and the city would assess its results as it moved to expand recycling services. In April of 2012, the city announced that the competition had reduced the costs of the recycling program. The city claimed that blue cart collection had cost the city $4.77 for every blue cart collected before the managed competition program, and those costs were lowered to $3.28 per bin in the area collected by the Department of Streets and Sanitation and to $2.70 a cart in the areas collected by the private vendors. Mayor Emanuel also promised to complete the rollout of blue bins to single-family dwellings by the end of 2014. The mayor overstates his case. Blue bins are going to houses throughout the city, but hundreds of thousands of Chicagoans do not live in houses. As WLS-TV noted, “twice a week, the blue carts are collected at residences in single family homes and buildings with fewer than four units.” Larger, multi-dwelling buildings do not receive blue bins. The Burke-Hansen ordinance, law in Chicago for more than twenty years, requires such buildings to hire private vendors to collect recyclables. The ordinance, however, was never enforced during the Daley administration and thus far has not been enforced during the first two years of the Emanuel administration. No specifics were given this week about how Chicago might improve recycling services in large buildings. Chicagoans have more recycling services today than they had two years ago. But Chicago still has a tale of two cities when it comes to recycling. Disclosure: I serve on the board of the Chicago Recycling Coalition, which advocates environmentally and fiscally sound management of solid waste. The CRC has advocated for expanded curbside collection and more transparent disclosure from Chicago on the rates of recycling and economics of city programs. That said, the opinions expressed in this post are solely mine and are not intended as endorsements by any group or institution. This entry was posted in recycling on October 22, 2013 by Carl Zimring. Several books on the history of waste and urban environments have been released over the past few months, some of which will be formally reviewed by me in journals. One that will not deserves mention. 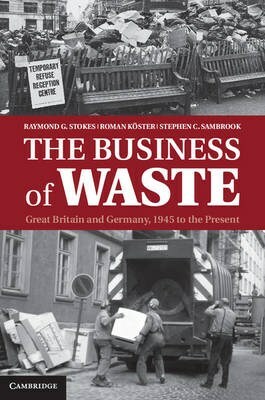 Cambridge University Press has just published The Business of Waste: Great Britain and Germany, 1945 to the Present by Ray Stokes, Roman Köster, and Stephen Sambrook of the University of Glasgow. It’s a terrific comparative history, and a valuable contribution to the field. I had the opportunity to read the manuscript, and I stand by the comment the press is using on the dustcover. If you have access to the Encyclopedia of Consumption and Waste, you can read the stellar entry on Great Britain that Stokes and Sambrook wrote. It serves as a preview of this excellent book. This entry was posted in Encyclopedia of Consumption and Waste, history, recycling, waste on October 20, 2013 by Carl Zimring. 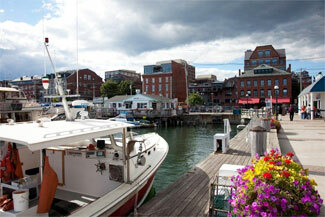 Portland, Maine, site of the 2013 SHOT meeting. The annual meeting of the Society for the History of Technology (SHOT) concluded Sunday. SHOT features some of the most engaged discussions of the relationships of humans, the environment, and technology I have heard, and this year’s meeting in Portland, Maine was no exception. The presidential roundtables were especially good at fostering lively discussion, not least the roundtable on approaches to materiality Friday afternoon. Although the breakfast meeting of the Envirotech Special Interest Group (SIG) was (as always) held at an unholy hour, it was encouraging to hear all the good research directions pursued by colleagues and by the strong representation of graduate students at the meeting. A few of us live-tweeted the conference, and Finn Arne Jørgensen has archived these tweets on Storify. Click the link to reconstruct discussions of engaging with the public and policy makers, 3-D gaming, technological enthusiasm, the abovementioned materiality roundtable, and much more. Neither Finn Arne nor I live-tweeted the “Salvage: Reuse and Repurposing in the History of Technology” panel because we were presenting, but I think we, our organizer Hanna Rose Shell (who was unable to attend due to health reasons), and fellow panelist/incoming SHOT Executive Secretary Dave Lucsko would all like to thank the attendees for the terrific comments, both by commentator Merritt Roe Smith and the audience. Hanna conceived of a panel on salvage and the assembled papers featured several overlaps allowing for engaged discussion on nomenclature (including contested definitions of the terms “shoddy,” “junk,” and “waste”), social (and socioeconomic) dimensions of waste, notions of authenticity (including the evolution of Norwegian leisure cabins from salvaged materials in Finn Arne’s paper), skill and stewardship of objects (including identification of optimal salvaged automobile parts in Dave’s paper) and pondering what the term “upcycling” means. That last point was the focus of my paper. Much of my work, including the book I am writing, is concerned with the ways waste and waste work have had particular consequences for particularly marginalized people in certain times and places. This paper, on high-end recycling of aluminum, seems a departure from that in it explores the creation of expensive goods by trained designers. In part, I am pursuing this project because of my teaching interests. I moved to the Pratt Institute in 2012 to teach the designers of tomorrow about the implications of mass production and disposal, figuring that was a unique opportunity to apply my historical training to present and future concerns. Given the skills developed at Pratt, we discuss ways in which design and production affect the waste stream. Designers of fashion, furniture, jewelry, and other goods have embraced the idea of upcycling (making goods of increased value from salvaged material) over the past decade. The word is now also used by William McDonough and Michael Braungart, who discuss their vision of ecologically beneficial industrial production in the new book The Upcycle. 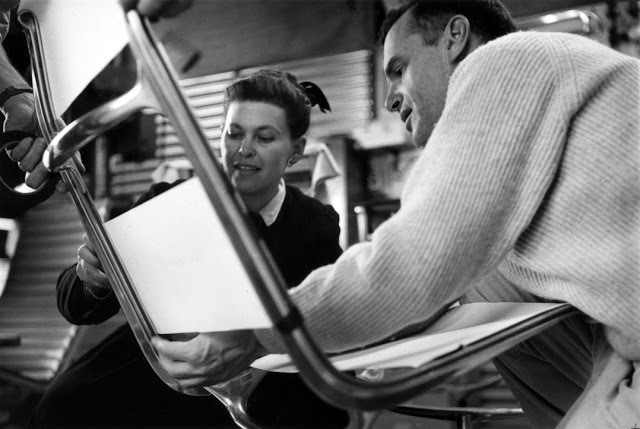 Ray and Charles Eames designing a chair from aluminum in 1957. As an environmental historian, I try to understand how the past has shaped the present. My first book looked at the ways Americans have recycled material since the time of Paul Revere, seeking to understand the evolving motives, successes, and failures of efforts over two centuries. This paper is the beginning of an attempt to place this rather new term in historical context. How have designers used salvaged material to make new goods of increased value? What motivations have shaped these efforts, and how might past successes and failures inform the work of designers today? To start this conversation, my paper discussed a few famous examples using salvaged aluminum since World War II, ranging from Eames Aluminum Group, Norman Foster, and Philippe Starck furniture to guitars made by the likes John Veleno, Travis Bean, and Kevin Burkett (an example of Burkett’s Electrical Guitar Company designs is included in this post). I look forward to developing this project further, thank Hanna for the opportunity to present it in such an ideal setting, and thank the SHOT community for engaging in the conversation. I imagine several scholars coming home from Maine this week share my gratitude on that last point, as these panels were the kind that make us excited to do our work. This entry was posted in consumption, events, history on October 14, 2013 by Carl Zimring. More details on the SHOT conference next week (once I have time), but those curious about following the discussions may follow #SHOT2013 on Twitter and the SHOT-talk blog pages (link opens to the index). Update: Finn Arne Jørgensen has archived the #SHOT2013 tweets on Storify. This entry was posted in events, history on October 11, 2013 by Carl Zimring. I just returned from southern California, where several faculty and administrators from art and design schools across North America met to discuss advancing sustainability concerns at our institutions. Our meetings were held at the Otis College of Art and Design just down the road from LAX and the Art Center College of Design in Pasadena. Here are a few scenes from the summit’s events. On Day 1, renowned industrial designer Ezio Manzini joined us from Milan to discuss systemic disruption of unsustainable practices. The video also includes a panel featuring Otis faculty discussing sustainability initiatives both within the school and collaborations with communities in Los Angeles and around the world. On Day 2, we moved over to Art Center in Pasadena, and among the presentations were talks by faculty there on curriculum and resources for sustainability. Also on Day 2, members of the community across the continent presented on initiatives at our home institutions. About 80 minutes into this video is a panel discussion featuring sustainability minor coordinators from RISD (Damian White), Pratt (me), Otis (Michele Jaquis), and MICA (Hugh Pocock). The summit concluded with a group presentation to the administrators at Otis on the past, present, and future of the partnership. Although the next in-person meeting is not until next fall here in New York, members plan to continue the discussions on advancing sustainability education online in the coming months. Thanks to Deb Johnson, Michele Jaquis and all at Otis, Heidrun Mumper-Drumm and all at Art Center, and all the PALS fellows for an invigorating summit. This entry was posted in events, sustainability on October 8, 2013 by Carl Zimring.